TS Freight has been a superior International Transport Service in China over the last decade. 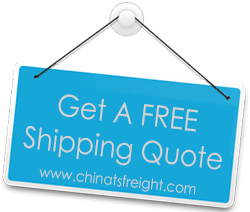 We offer international ocean shipping and international air shipping services for freight import from China to Spain at affordable prices and highly efficient speeds. We have partnered with top transporters along the route between China and Spain, and with their aid, we are able to get your goods across from China to Spain in the quickest time. Our vast network makes it possible for us to import cargo through air or via sea from most of the major cities of China including Shenzhen, Shanghai, Hong Kong, Ningbo, Hangzhou, Tianjin, Guangzhou etc. The destinations to which we ship in Spain include most major cities including Madrid, Barcelona, Valencia, Bilbao and others. In the 10 years or more that we have been in operation, we have developed a transport system logistics process that has been improved to near perfection. We take on full responsibility for reaching the clients’ freight to its destination in the most effective way. The customer remains uninvolved in any step of the process of the international shipping. We handle cargo pickup, packaging, inventory, loading and unloading at the destination port and all customs documentation in our door to door delivery services. We may also handle the storage of your freight and its inland transport to the final destination. Each step of the shipping is handled with great professionalism by our competent personnel who bring with them their experience in our company as well as their commitment to clients.